What’s on your mind when hearing the name of LeBron James, Kobe Bryant and Kevin Durant? Yes, a group of superhuman who sent by the god to join the NBA. The three of them are the chosen players with very special ability on the field. Physical, technical and skill far above their average for most of the basketball in general. That is the reason that makes Nike apparel to create and design basketball shoes, with each design have the characteristics of the three players. What kind of shoes they made for The Black Mamba, Durantula and King James? Now, here we go with the list of the best elite basketball shoes. 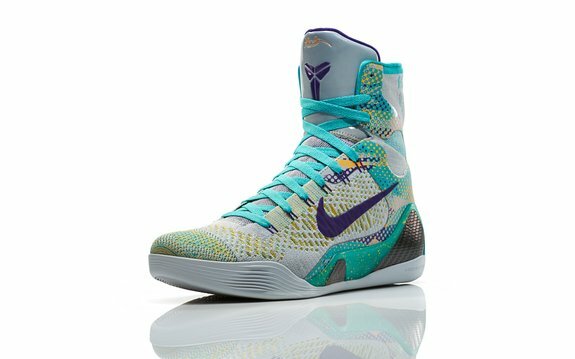 The shape of Kobe 9 Elite Hero basketball shoes is almost similar to the first Kobe 9 Elite which looks like boxing shoes, but this time the colors on this shoe is softer, the combination of gray, green and yellow make the shoe more attractive. This shoe has more perfect form than Kobe 9 Elite of the previous version, with the addition of the innovation of Lunarlon, dynamic Flywire and carbon fiber, which allows the players can move naturally. 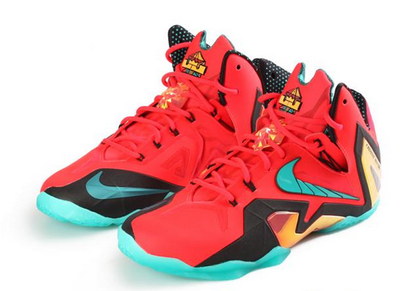 These shoes will be used by LeBron James in an attempt to gain the championship title third time in a row this season. This shoe has a brilliant color harmony, a fusion of red, green, black, and yellow. Very represent the James who is always moving swiftly, but still powerful while playing. The NBA’s leading scorer, will seek his first championship title this season, wearing the blue, green and pink version of his KD VI sneakers. 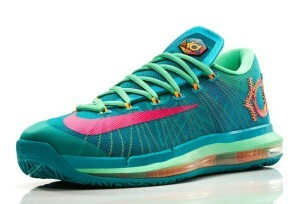 These shoes can maximize the strength and the natural movement of Kevin Durant. The great thing, this shoe is complemented by features Flywire technology, which is a Kevlar material used in bulletproof robes. This material is so light but very strong, so as to support dynamic KD versatile style.